The New York Racing Association, Inc. (NYRA) and FOX Sports today announced that Hall of Fame jockey Gary Stevens will join the FOX Sports/NYRA Live shows as a racing analyst, making his debut on FOX Sports Saturday At The Races this spring. Inducted into the National Museum of Racing Hall of Fame in 1997, Stevens registered 5,187 wins and totaled purse earnings of more than $258 million in a career that started in 1979 and concluded with his retirement in 2018. The 55-year-old won 9 Triple Crown races and 11 Breeders’ Cup races in his illustrious career. 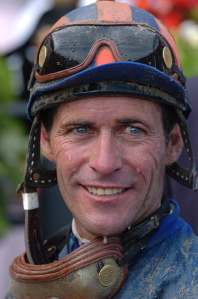 Outside of the irons, Stevens has enjoyed success as an actor and television analyst, portraying Hall of Fame jockey George Woolf in the film “Seabiscuit,” starring in the HBO series “Luck” and providing racing analysis for various TV networks including NBC. In addition to Stevens, FOX Sports and NYRA announced that veteran host Laffit Pincay III and handicapper Jonathon Kinchen will join a broadcast team that includes host Greg Wolf, handicapper and racing analyst Andy Serling, paddock analyst Maggie Wolfendale, trainer Tom Amoss, and handicapper and former Major League Baseball all-star Paul LoDuca. Larry Collmus, NYRA announcer and voice of the Triple Crown, will provide live race calls throughout the year. FOX Sports and NYRA recently announced the most expansive television programming deal in horse racing history that will make FOX Sports the year-round national television home for NYRA racing from Saratoga Race Course and Belmont Park. The new broadcast team will also be featured on FOX Sports Saturday At The Races, which was launched in 2018 and expanded in 2019 to a 12-show schedule over February, March and April providing nationwide coverage and analysis of major stakes races and key Triple Crown preps. “In 2019, FOX Sports is scheduled to televise 500 hours of NYRA racing, including coverage of nearly every race day at Belmont and Saratoga. The broadcast schedule will then expand to over 600 hours annually in 2020. This agreement builds upon the prior deal between NYRA and FOX Sports that resulted in more than 100 hours of NYRA coverage on FS2 in 2018. The 2019 NYRA shows on FOX Sports will be presented by America’s Best Racing, Runhappy and Claiborne Farm.